COTA 2016 is once again Sold Out. Thank you! Call (314) 249-3770 or e-mail [email protected] for the February 26-28, 2016 COTA reserve list. We are already just shy of ½ full for NCM Motorsports Park in Bowling Green, KY April 9-10. I hope to see you in Bowling Green April 9th and 10th for the on-track fun. Feel free to call me at (314) 249-3770 if you have any questions. Last edited by Feffman; 22nd January 2016 at 01:30 PM. TWO THUMBS up for Mark and his team! I will be seeing you soon! We are 80% full for NCM Motorsports Park in Bowling Green, KY April 9-10. I hope you will join MVP Track Time for the on-track fun. I hope to see you in Bowling Green April 9th and 10th. Feel free to call me at(314) 249-3770 or e-mail [email protected] if you have any questions. 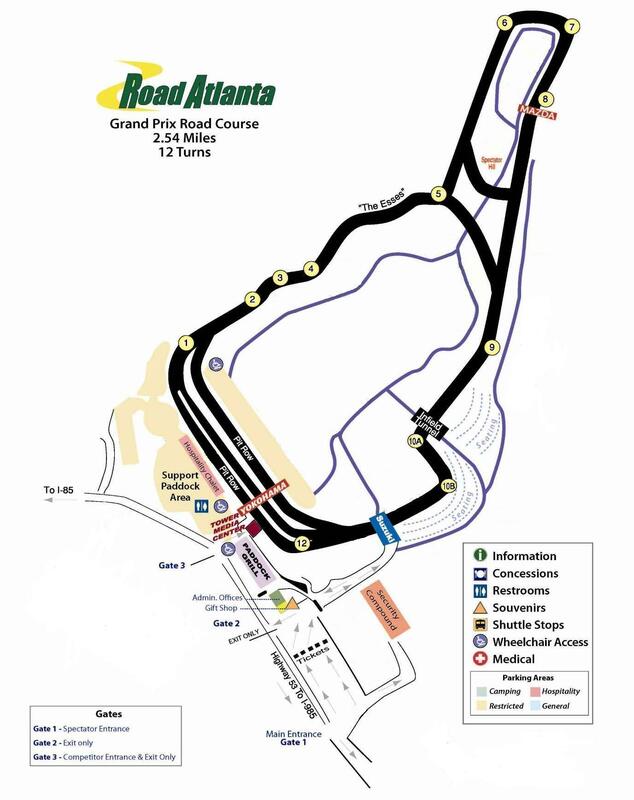 Our June 24th – 26th at Road Atlanta track event is fast approaching ½ full. Yes, you read that correctly, we are FINALLY running three days at Road Atlanta. I hope you will join us for the on-track fun. MVP will be joined by Challenge Club Racing (www.challengeclubracing.com), so not only will you enjoy the usual two(2) hours of track time driving daily, but you’ll get to watch Ferrari’s racing on track. We have 3-4 spots remaining in each run group for June 6th at Autobahn Country Club.